New Directions Publishing Corporation, 9780811228718, 320pp. The Chandelier, written when Lispector was only twenty-three, reveals a very different author from the college student whose debut novel, Near to the Wild Heart, announced the landfall of "Hurricane Clarice." Virginia and her cruel, beautiful brother, Daniel, grow up in a decaying country mansion. They leave for the city, but the change of locale leaves Virginia's internal life unperturbed. 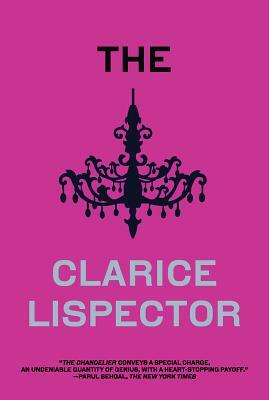 In intensely poetic language, Lispector conducts a stratigraphic excavation of Virginia's thoughts, revealing the drama of Clarice's lifelong quest to discover "the nucleus made of a single instant"--and displaying a new face of this great writer, blazing with the vitality of youth.